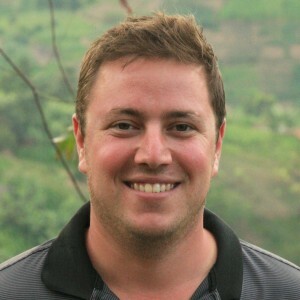 This is a guest post by Martin Segal, Managing Director, Segal Family Foundation (SFF). Martin is the son of Barry Segal, founder of SFF. Our grassroots partners are at the heart of Segal Family Foundation's mission and work. I know each and every one of our partners, which is a point of pride with over 150 partners and acronyms like SHOFCO, IEFT, ZISD and BYFC. During site visits, I've seen our grassroots NGO partners in action and I've met many of the visionary leaders behind these incredible organizations in person during our Annual Meetings, like the one held in early-July in Arusha, Tanzania. Hearing their stories and the impact of our support really drives home why we exist as a funder. Our partners are a constant force in their communities driving change and delivering services. We invest in the most talented and passionate African innovators-- who understand the challenges faced by their communities better than anyone -- and support them in transforming their communities through coaching, skills-building, and connecting to the right networks. My father founded SFF because he believed he could make a difference in the world by giving NGOs and African-led organizations the opportunity and resources needed to transform their communities. We have invested in over 150 organizations in nearly 20 countries. We've evolved into an African-rooted, dynamic and action-oriented foundation that supports African organizations in achieving their vision of development in their communities. Our Annual Meeting brought together more than 250 leaders of African and international nongovernmental organizations and the philanthropic community. Over a course of three days, we networked, built and strengthened relationships, and gained new learning opportunities on innovative locally-led development solutions to addressing tough development challenges such as reproductive health, access to education, and youth employment, among others. We were inspired by each other -- and had great fun in the process. Watch this video for a recap of the Annual Meeting. This year's Annual Meeting on the African continent represented a shift from the previous venue in New York City. We were able to go where our partners are and see how they are working nonstop to create change in their communities. Nearly 140 African grassroots NGOs came together to collaborate, share resources and best practices. We're learning from our partners, they are learning from each other and our portfolio has truly become a family of partners. Together, we're building a community of creative collaborators in Africa. So, what does it mean to build a "community of creative collaborators"? 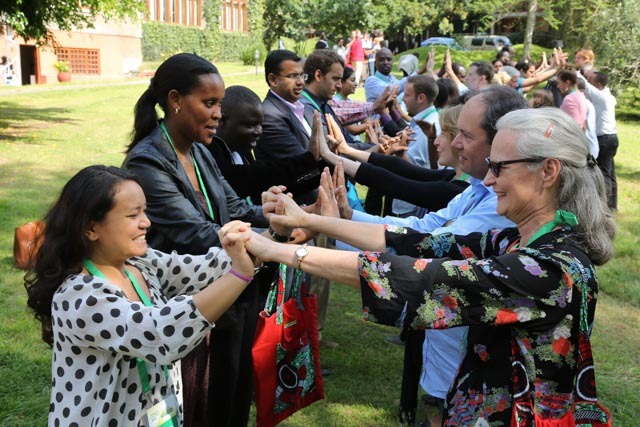 Our Active Partnership approach is connecting rising stars from African-based NGOs to share their knowledge and wisdom on innovative grassroots ideas, technical expertise, and capacity building to maximize their impact. Our workshops and events range from technical training workshops to informal happy hours to conference-style annual meetings. Our targeted support gives partners the skills and connections needed to grow their organization. 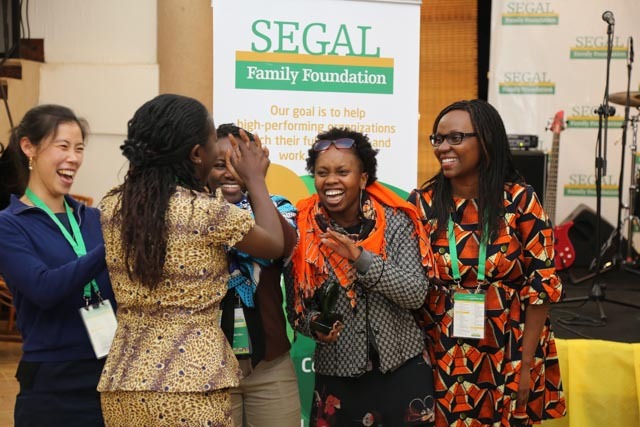 At SFF, we aim to set African NGOs up for success by creating opportunities for them to make the right connections with the right funders and partners to take their organization to the next level. Opportunities often don't happen by chance, but when the right connections are brokered, our grantees have an enormous opportunity to forge strong partnerships that will allow them to grow and thrive. The Annual Meeting is just one way that SFF supports our partners by building connections through our larger network of NGOs, for-profit social ventures and funders. We're building a movement of innovators from the ground up. The hard work starts when our partners go back to their local communities to make a difference. They can count on SFF partnering with them every step of the way, providing value and support that fits their needs.